It's already Tuesday again and my mind is hodgepodge, a mess of wrappers and chewed gum. Inspired? I have been, though when I attempt to write here, to confess the things I need to confess, I am a bread bag empty of its bread. I confess last night I had a dream I was onstage with Elvis Costello holding his hands and singing "Everyday I Write The Book." Afterwards he gave me his address and personal email with a handwritten note inviting me to the Grammys in Tennessee in April. I have no idea what any of this means. Feel free to interpret as needed. I confess hearing people's dreams is among the terrors of the breakfast table. I stole that quote from someone. But it's true. I confess I get distracted when riding in the car and it's hard for me to finish a sentence as I'm so visually distracted. I confess this happened yesterday while mountain biking. 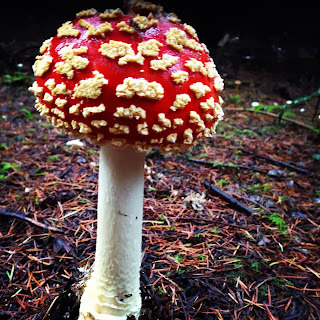 We came across these mushrooms (what I call "storybook mushrooms"). I was so visually taken by the beauty of the forest I wanted to stand there and cry. Then sit down and have a picnic. I wanted to take it all in a way I know isn't possible. So I took this photo. Which is like seeing God and instead of embracing him, I ask for his autograph. I confess I enjoy texting, but I'm always texting people the wrong things. Sometimes people get my grocery lists. Sometimes a strange photo (not that kind of photo...heads out of gutter please.) Sometimes long notes to the wrong friends. Or xoxo, sweet names. I worry what people will get from me. Then I remember life is temporary and feel better. I confess there is a whole generation that doesn't know this song, and it makes me sad. 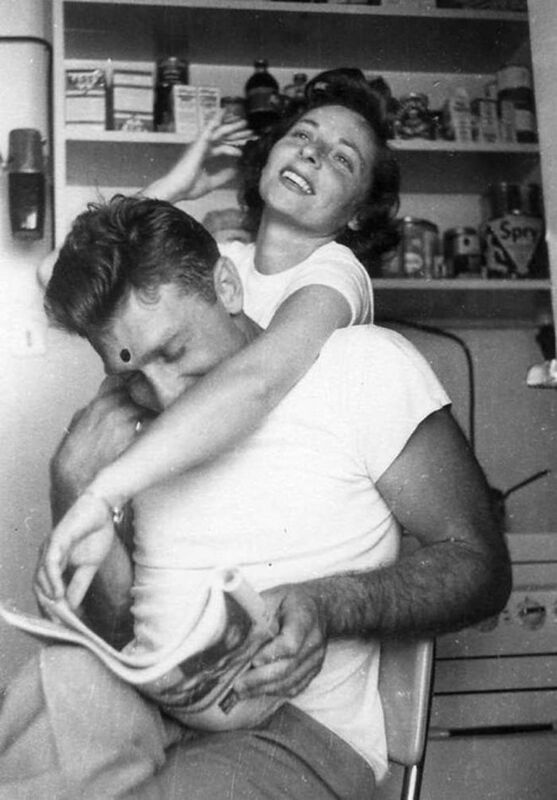 I confess I love looking at old photos of couples in love. Or in like. Or in lust. Or in maybe. Or in friendship. I confess when I read the above, I wished it had just said, "You better save me." We save each other with little things. I really love this post! 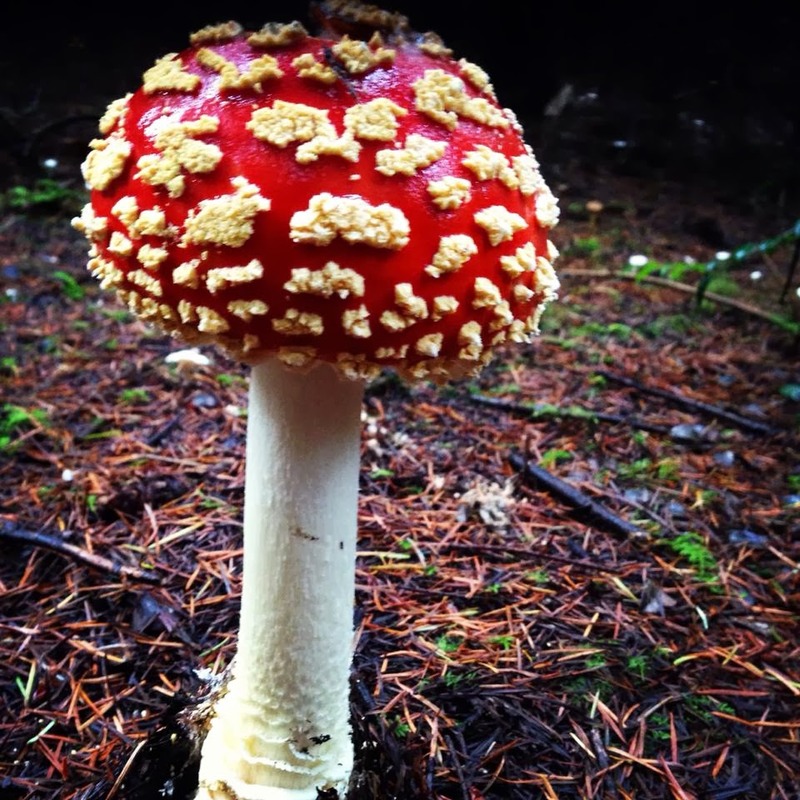 How fun :)It makes me want to go look for mushrooms!